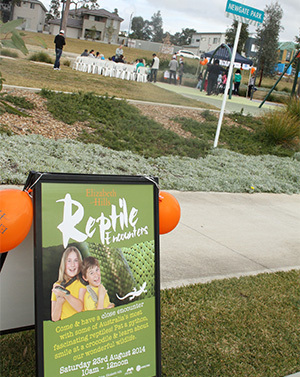 On Saturday, 23rd August Elizabeth Hills residents enjoyed a fascinating ‘Reptile Encounters’ event. Residents had fun patting a python, smiling at a crocodile and learning more about Australia’s wonderful wildlife. Funds raised on the day went to Reptile Rescue and Removal Service.